International music sensation Pitbull will conduct a special on-field music performance, presented by Budweiser, at Citi Field prior to the 2013 Home Run Derby on July 15th airing on ESPN beginning at 8:00pm Eastern as part of MLB All-Star Week. The following night, American Idol winner Candice Glover will perform the National Anthem and two-time Grammy Award winner Marc Anthony will sing God Bless America during the seventh inning at the MLB All-Star Game on FOX. 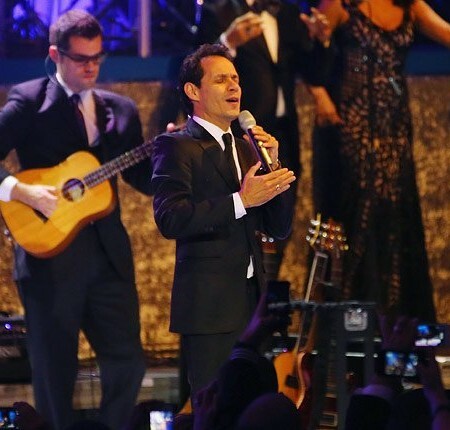 Following Marc Anthony’s debut performance of his new single “Vivir La Vida” at the Billboard Latin Music Awards (broadcast live on Telemundo on April 25), the track climbs 3-1 in its second week on Billboard’s Hot Latin Songs chart, securing him his first No. 1 on the ranking as a lead artist in nearly nine years. The salsa anthem, which was met by a standing ovation by those in attendance at the festivities, is the title track to Anthony’s next album, expected to be released in July. The track becomes his seventh career Hot Latin Songs No. 1.